If you want to own or use a shotgun in NSW you will need to apply for a firearms licence. The firearms licensing laws in NSW are fairly stringent, and if you want to apply for a licence you will need to be approved by the Firearms Registry, which is part of the NSW Police Force. 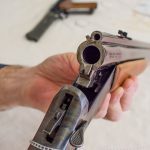 Obtaining a shotgun licence with convictions can be more challenging, but having a criminal history doesn’t always mean that your application will be refused. 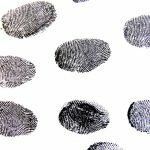 There are a number of criteria that firearms licence applicants are required to fulfil, and having a clean criminal record is one of these criteria. If you have previous convictions, you may find that your application for a firearms licence is declined. But not all criminal convictions will result in your firearms licence being revoked or refused. 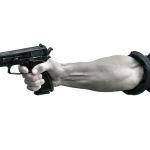 If you have been convicted of any of the above offences you will not be allowed to hold a firearms licence in NSW. If you have a conviction for a different offence, you can apply for a firearms licence and whether or not you are approved will be at the discretion of the NSW Police. What about Apprehended Violence Orders? Although an Apprehended Violence Order (AVO) doesn’t technically constitute a criminal conviction, if you have been served with an AVO or an ADVO (Apprehended Domestic Violence Order), you will not be allowed to hold a firearms licence for a period of ten years after the expiry of the AVO. This doesn’t apply if the AVO was revoked after it came into force. What if I am under a section 10 dismissal or conditional release order with a good behaviour bond? If you are under a good behaviour bond for a prescribed offence you won’t be able to hold a firearms licence, which means that if you currently hold one you will be required to surrender your licence and any firearms that you have in your possession. If you were found guilty of a prescribed offence within the previous five years, but were given a section 10 dismissal or conditional release order with no good behaviour bond, you may not have a criminal conviction, but you will still be prohibited from holding a firearms licence. Can I appeal a refusal to grant me a firearms licence? If you have applied for a firearms licence and have been refused there is an avenue of appeal, depending on the reasons for your refusal. 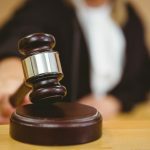 Decisions that are not reviewable include those made on the basis of a current or previous AVO, and those made due to the applicant being under a weapons prohibition order. In cases where you have been refused a firearms licence on other grounds you can request a review of your application by applying in writing to the Firearms Registry. This can be done over email or through the post, and your request for a review should include all the relevant information to support your case. You will be required to send your request within 28 days of the original decision being made. If you have a previous conviction you may not be allowed to hold a licence for a shotgun or other firearm. Whether or not you will be granted a firearms licence or your current licence will be revoked depends on the specific nature of the offence and whether it falls into the category of a prescribed offence. 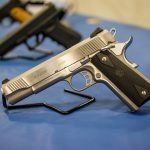 If you wish to appeal a decision to revoke or refuse a firearms licence, it is a good idea to speak to a lawyer and find out your best course of action. 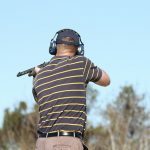 Do I Need a Licence for Collecting Firearms in NSW? Should Minors Charged with Serious Offences be Released on Bail? What Does Criminal Law Say About Threatening a Person?